Chet Baker is with Louis Armstrong and Miles Davis one of the three greatest trumpeters in the history of Jazz. Revealed at the end of 1952 in Gerry Mulligan's quartet, he quickly formed his own band (Spring 53). His success is immediate and white criticism is not long in making him the rival of Miles Davis and develop the imagery of a cute rebellious (but good American citizen) like James Dean, Paul Newman or Marlon Brando. (Two years later, the same marketing plan will be deployed for Elvis Presley, a white pretty guy much more presentable than these degenerate Negroes* of Chuck Berry or Little Richard!). *This is French humor, and not a Mister Trump kind of Joke! 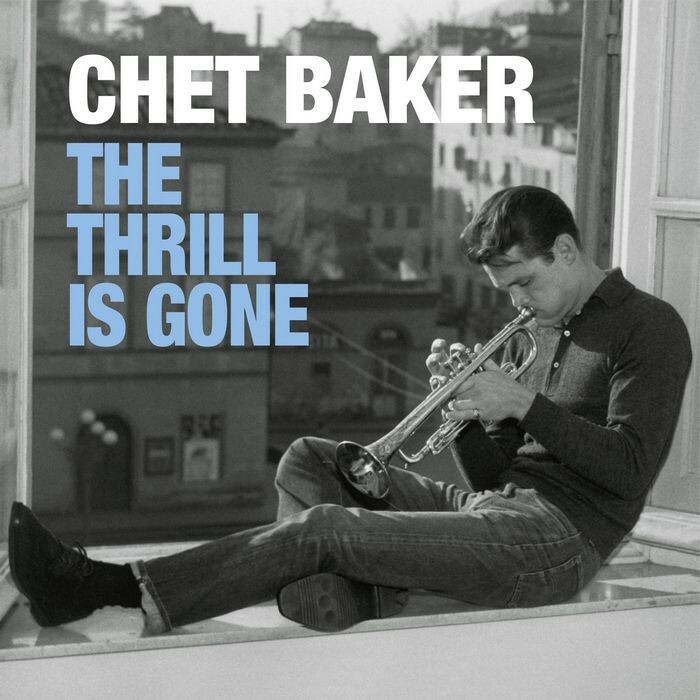 All this does not detract from the exceptional artistic qualities, singular and unconventional of Chet Baker (I avoid using the term of 'genius' that must obviously be reserved only for Ibrahim Maalouf **...). **This is another french ironical kind of joke! So, magazines will make him a sort of fashion icon and many women will be ecstatic just hearing his name. 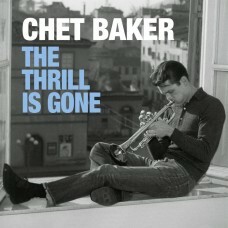 But alas, Chet Baker is an irretrievable junky, able to betray any of his partners to satisfy his deadly addictions. In 1956, when his freedom began to be threatened, he left for Europe, just to be forgotten and eventually to restore health. With the exception of his bassist Jimmy Bond, his traveling companions are incurable downers. A month after his arrival in Paris, his pianist Richard Twardzik is found dead from an overdose in his hotel room. Chet Baker will stay in Europe for eight months, running some fee between France, England, Holland, Germany (West) and especially Italy where he will build strong relationships. In France he will record many sides for the Barclay label. He made his first comeback in the USA in the summer of 1956, resuming his recordings for the Pacific label and his wanderings, wherever he is, to supply himself with illicit products. He nevertheless retains the mastery of his instrument and his music. His recordings betray only a few moments of weakness. 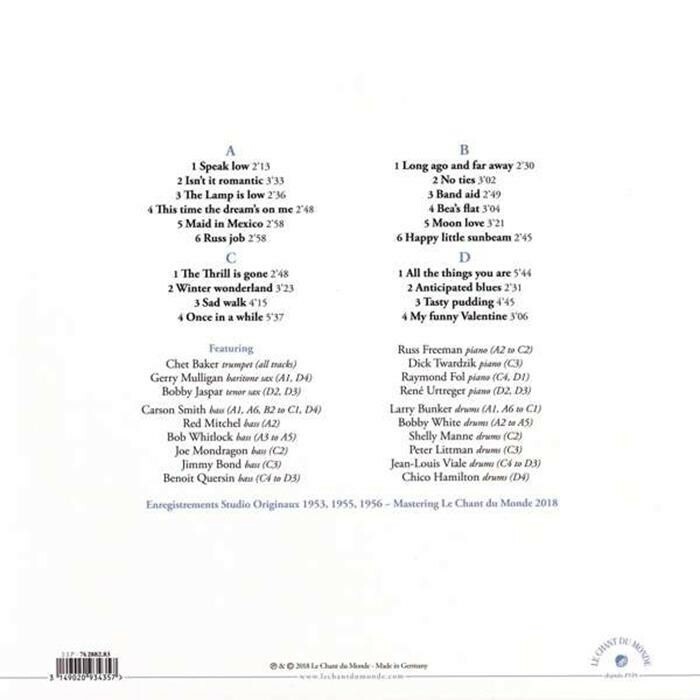 In the autumn of 1959 he flew to Italy, where a generously remunerated phonographic contract awaited him and the perspective of getting high as much as possible. For two years he will do just about anything and everything, starting with prison. He participates in several film scores that have passed to a relative posterity, thanks to his only presence. He has just started crossing the desert… His various 'Comebacks' in 1962, 1964, 1965, 1970, 1974, 1977, punctuated by descent into hell, have long generated skepticism about his ability to return to the fore one day. It will be necessary to wait for the year 1978 to see the Phoenix reborn from its ashes and to approach its last decade, in the role of an old sage, holder of secrets that many, even today, have only glimpsed.